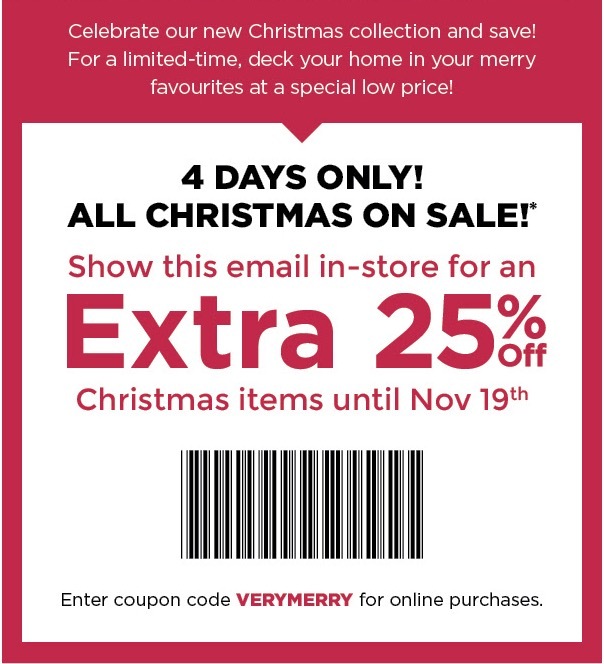 Kitchen Stuff Plus Canada has a great All Christmas on Sale Event available now! Save an Extra 25% off All Christmas Items, introducing 2018 Christmas Collection. This sale is available now until November 19, 2018. To get your discount online enter the promo code VERYMERRY at checkout. in-store show this coupon. Click below to view Kitchen Stuff Plus’ Canada’s latest flyers deals.